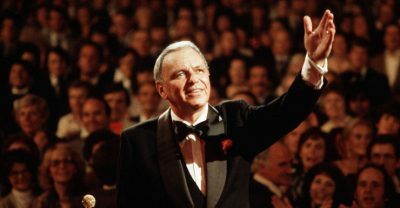 The demigods are rarely tempered, and Frank Sinatra, who considered himself one, along with a horde of adulating fans, was one who rarely faced the sharp tongue or chastising hand. Accusations about mob connections, thuggery and darker impulses were usually pillowed by an aura. When he visited an Australia coming out of social sclerosis in the 1970s (for one, the first progressive government in almost a generation was in power), he encountered the attention of scavengers desperate for the man and his story. The year was 1974, and the Australian Women’s Weekly wondered, without a trace of prophetic irony, if Sinatra would “keep smiling in Australia”. In the second week of July, Sinatra and his motley crew arrived in Sydney on a 12-seat Gulfstream private jet, courtesy of Harrah’s Casino, Nevada. The schedule involved two concerts in Melbourne and three in Sydney. On getting to Sydney, Sinatra was given digs at the Boulevard. (Drab and unspectacular, Australia’s hospitality could not boast formidable hotel sets, though the Boulevard was considered better than most.) John Pond, the hotel’s public relations manager, was informed about Sinatra’s desire to have kitchen facilities and did his level best to please. The tension duly bit. At Festival Hall, Melbourne, Sinatra was unimpressed about the journalist pack. A crotchety diatribe followed. “They keep chasing us. We have to run all day long. They’re parasites who take everything and give nothing.” The dagger was dug in deeper. “And as for the broads who work for the press, they’re the hookers of the press. I might offer them a buck and a half, I’m not sure.” For good measure, Sinatra also described reporters as “pimps’, perennial “bums”, “crazy” and all in need of pox. Such splenetic views were typical of Sinatra. His first appearance at Carnegie Hall in nine years on April 8, 1974 was not merely a show of mellow tones and performance. It featured salvos of dripping hostility at various members of the press. Barbara Walters and Rona Barrett starred as the targets, the latter deserving special mention: “What can you say about her that hasn’t already been said about… leprosy?” The comments barely registered on the US talk scene; all that mattered was whether the voice remained intact after a brief retirement. Sinatra had to be taught a lesson. The second Melbourne concert was duly cancelled; his private jet at Tullamarine was grounded; and, in joining the plebeian classes in a commercial flight to Sydney, Sinatra found himself besieged in his Sydney hotel. Australia’s unwashed reporters wanted an apology, and three unions obliged in taking the matter up. The Professional Musicians Union and the Australian Theatrical and Amusement Employees Association took the position that no apology meant, effectively, no tour. An additional personal apology was also sought for Sinatra’s alleged manhandling, along with his bodyguards, of a cameraman and photographers. Then, Australia had unions with more than a mild bark. They could frustrate sporting tours by denying services (the use of grounds; ticketing; cleaning; hospitality); they could restrict the movement of undesirables. They could, as it turned out, also ground celebrity singers and performers whose transport they refused to refuel. The then president of the Australian Council of Trade Unions, Bob Hawke, was very keen to reach some understanding with Sinatra, though the entire episode seemed to never rise above the puerile and adolescent. “His attack on journalists was bad enough,” expressed a wounded Victorian secretary of the Australian Journalists Association, Graham Walsh, “but what made it worse was the way he used an audience to do it”. Hawke had a sinister warning during the long imbibing session with Sinatra: “If you don’t apologise your stay in this country could be indefinite. You won’t be allowed to leave Australia unless you can walk on water.” Sinatra was expected to sign some statement, approved by the parties, that he had been in the wrong. Sinatra, in turn, wanted his own set of apologies from the press. A modest compromise was reached. He conceded to having “regrets”, in the process getting Hawke, a future Australian prime minister, suitably inebriated.